Medi Whale Inc. was introduced at Korea-Indonesia Tech Startup Demo day – Medi-Whale Inc.
On last 25th October, a Korea-Indonesia Tech Startup Demo day took a place in Jakarta. Organized by Korean small and medium Business Corporation(SBC), Korean International Trade Association(KITA), Korea Creative Contents Agency(KOCCA), and Indonesian Agency for Creative Economy(BEKRAF), 25 startups from Korea and Indonesia have made their pitch for about 100 potential investors. Medi Whale Inc. has participated in this program as one of the 15 Korean startups making business in the field of ICT and manufacturing. As a health tech startup, Medi Whale introduced its artificial intelligence solution to detect eye and cardiovascular disease through a non-invasive observation of eyes. The speaker explained that it can help patients and society to save healthcare costs while provides effective diagnostic support. 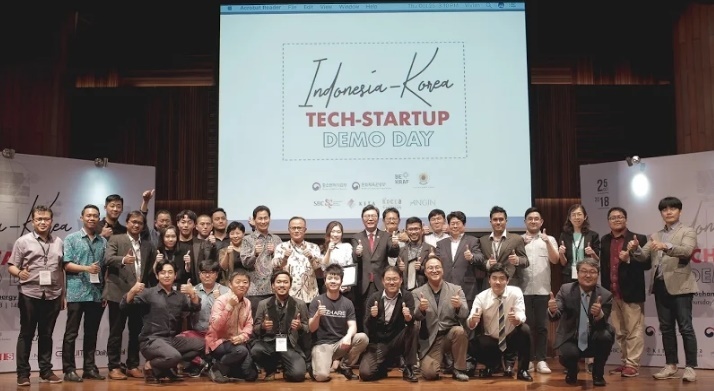 The program was organized in purpose to encourage the Korean and Indonesian startups to scale up by having a chance to “collaborate with partners and investors”, as the South Korean ambassador said.